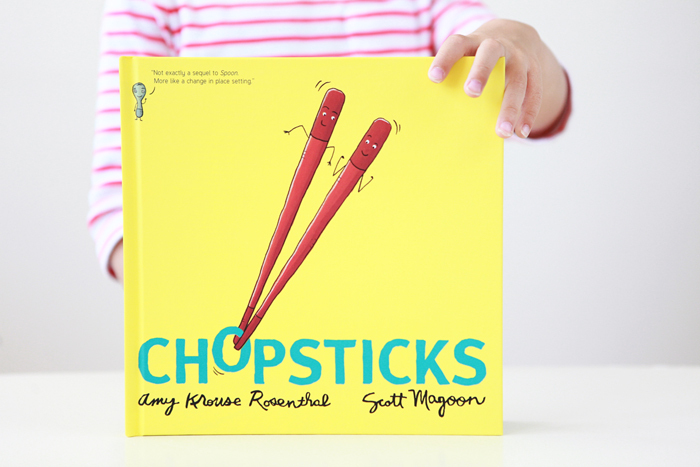 Chopsticks, written by Amy Krouse Rosenthal and illustrated by Scott Magoon, is a fun and endearing story about a pair of chopsticks who are the best of friends that do everything together. After something happens, the chopsticks get separated and each decides to venture out on its own. They have wonderful new experiences, but in the end, realize that things are always better when done together. 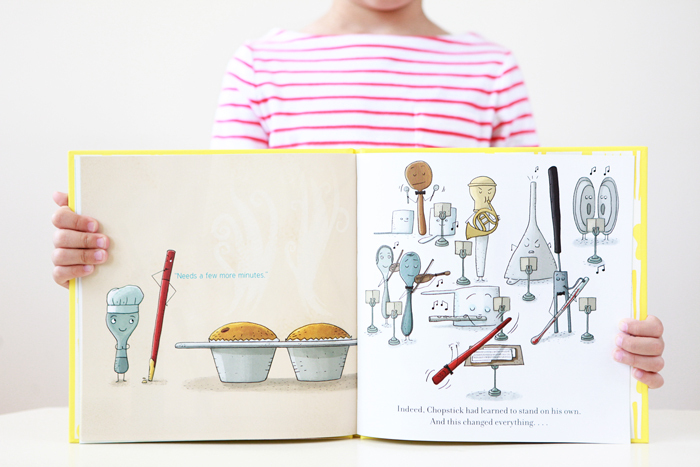 Thanks to The Land of Nod for sending us this book.